Whether you’re a fan of opera or not - whether you love Luciano Pavarotti or have never heard of one of the great Italian tenors of our time (gasp!) - there’s a tour of his home in Modena, Italy you should include when you visit Bologna for the first time. It's also one of the many popular day trips from Bologna on the combined Ferrari and Pavarotti tour. This post may contain affiliate links. If you click on a link and make a purchase, we make a small commission at no extra cost to you. 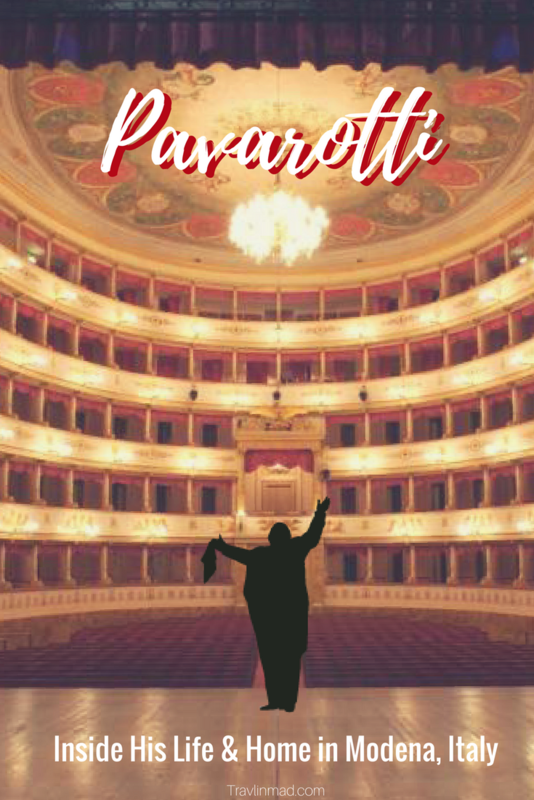 Pavarotti was undeniably one of the greatest Italian opera singers, who not only influenced the world of opera, but successfully crossed over into pop music as well. In fact, that crossover brought him many new fans and introduced opera to new generations. Though I’m not a diehard opera fan, I do love Italian arias from the classic operas written by Verdi, Puccini, and others. There’s something that just moves you to the core when a voice like Pavarotti’s hits deep in your soul. Hearing him perform his greatest aria Nessun Dorma will convert you, I promise! It’s beautiful. But I have to admit, when he began singing unlikely duets with pop stars I was already listening to...that's when I became a big fan. Luciano was born in Modena, Italy and died there at his home in 2007 from pancreatic cancer. He was 71. Today, his home is open to the public for tours and is one of the many fun things to do in Modena. The home is surprisingly open in fact, I was amazed to find no area that seemed to be off limits to tourists, even his Master bedroom and bath. It takes less than an hour to travel from Bologna to Modena, and the tour is very well organized and easy to do at your own pace. When you arrive at the home, docents give a quick overview of the self-guided tour and hand out individual audio packs with earbuds. I loved this aspect of the tour as everyone in our group could move through the home on their own. 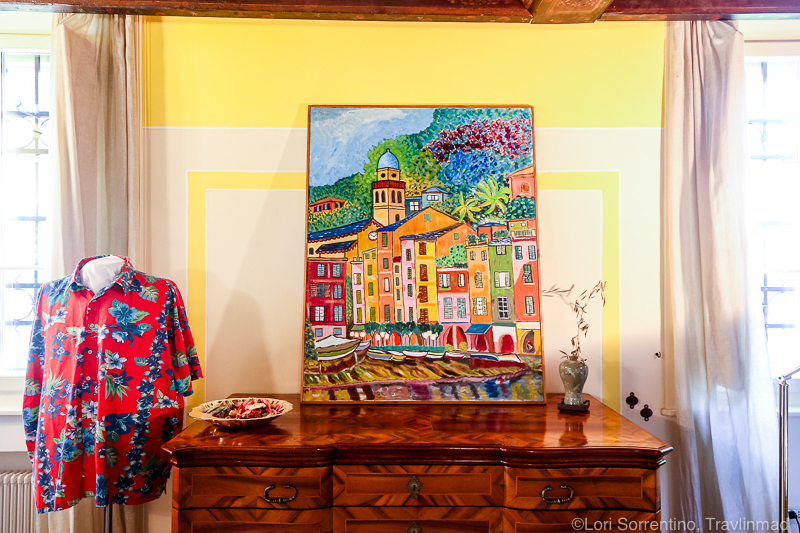 The tour begins in the downstairs living area of the home where Luciano’s eclectic taste in art is on display. He was also a prolific and talented painter in his own right and some of his colorful work is also featured. I had no idea how multi-talented he was! Next, the tour moves upstairs one floor to his private living spaces of the Master bedroom, bath, and dressing area. Several performance costumes are on display as well as many of the signature colorful scarves he was famous for wearing. The third and final floor was fascinating, and featured photos, letters, gifts, and other memorabilia with the world’s most famous artists, leaders, celebrities, and of course his work with The Three Tenors. By this point in the tour, you have a sense for not only the talent of Luciano Pavarotti, but the incredible work he did throughout his life, from his many artistic collaborations to the numerous humanitarian efforts and support of social and artistic causes around the world. In his later life, he created Pavarotti & Friends, a series of benefit concerts he hosted between 1992 and 2003 in his home town of Modena. Off a small room near the back of the house, a short video wraps up the story of his life, no small feat in just 10 short minutes. 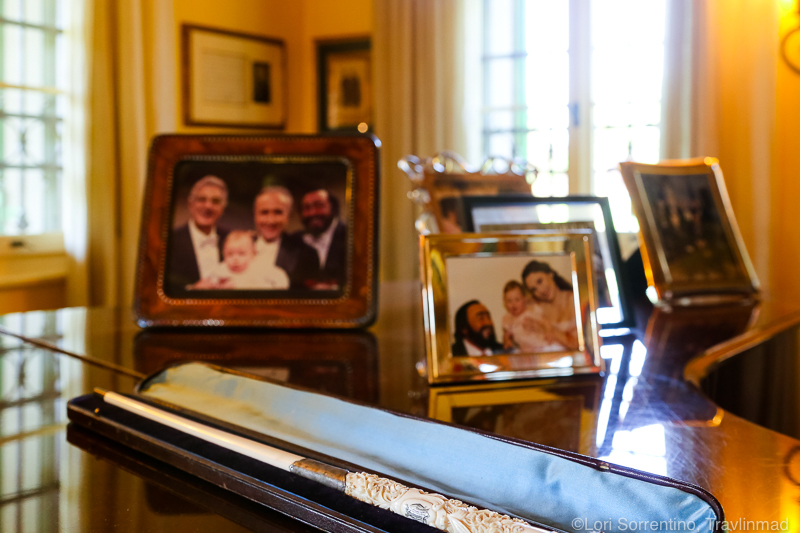 It’s impossible to encapsulate the story of a legend like Luciano Pavarotti in a short visit or video, but what remains behind gives you a glimpse - of his zest for life and family, his artistry and extraordinary operatic gift, his generous community spirit - all of which still resonate as loudly today as they did then. Much larger than life. The Ferrari and Pavarotti Land Tour leaves daily from the Bologna Bus Station at 9:00am, combining visits to the Luciano Pavarotti Home and Museum, the Enzo Ferrari Museum in Modena, and the Ferrari Museum in Maranello. Purchase tickets online or at the Bologna Welcome Center on Piazza Maggiore. Be at the bus station on time and you’ll see the van(s) waiting curbside. We we were guests of Bologna Welcome and sincerely thank them for the tour. All opinions are our own based on our firsthand experience.